A veneer is a thin layer of tooth-coloured material that is put onto the front of the tooth to make it look better. This is done because the tooth might have been damaged by decay or an accident, or might be badly discoloured for some reason. Veneers are usually made out if porcelain by a dental technician. You will have to visit the dentist more than once for this type of veneer. A very small amount of the natural tooth material needs to be removed ? just enough to prevent the veneer making the tooth look or feel bulky. For this reason, it may be necessary for the dentist to numb the tooth. The dentist will need to use a puttylike material to make a mould of your mouth, so the dental technician can tell the shape and size of the veneer to make for you. 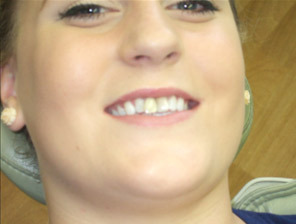 Veneers sometimes came away from the tooth or break if the tooth is knocked. They can sometimes be glued back on, but will have to be replaced if they are damaged. Some veneers are built up on the tooth directly using the same material that is used for white fillings. The surface of the tooth is toughened with a mild acid. Then white filling material is applied in layers until the teeth look right. 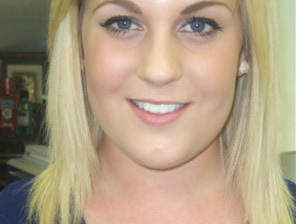 Veneers can greatly improve your appearance. They hide imperfections and you lose very little natural tooth material. Veneers also protect teeth from any more damage. Tooth surface can be dissolved away by acid in the mouth (usually from too frequent consumption of certain kinds of food and drink) this can make teeth very sensitive to hot and cold. 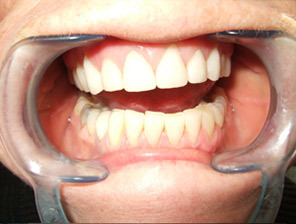 In this situation, veneers can protect the teeth. 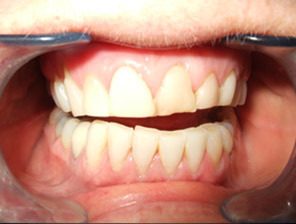 If the tooth is strong, a veneer is often a better option than a crown for improving a tooth?s appearance.